Someone knows about that Pyrenomycete sur Alnus glutinosa. Spores two-celled, one of that brown at maturity, and longitudinal germ slit? if the stroma is superficial, applanate, black, carbonceous, this might be Biscogniauxia anceps. Otherwise, if the stroma is reduced to a black clypeus, Anthostomella should be considered. 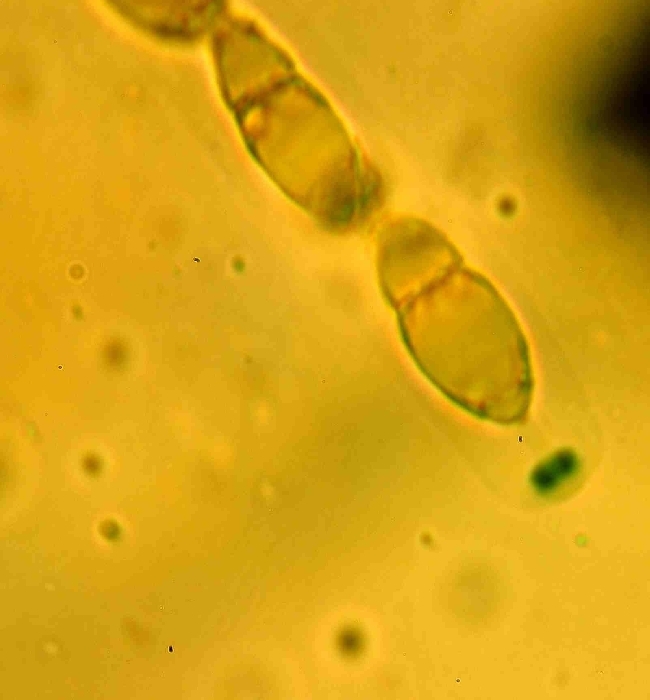 A photo of the stroma and ascospores dimensions would help.